On the Sidebar of the User Story details page, click the name of any team/role involved in the project. 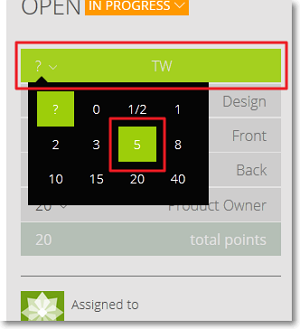 Select the number of Points you want to add. 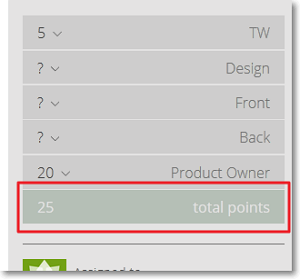 You can view the updated number of Points for the User Story in the total points box.